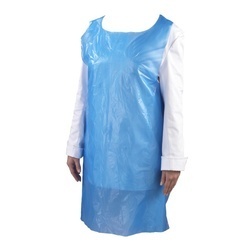 Pioneers in the industry, we offer disposable apron and respiratory safety mask from India. 1. Wrapped Blue poly aprons are economical for foodservice and light duty cleaning. 2. Each apron measures 24" x 42" to keep uniforms and clothing neat and clean. 3. Aprons are wrapped in a clear poly bag. 4. Protect your staff's clothing with this disposable regular weight poly Blue apron. 5. This apron is a handy addition to any cafeteria, deli, or restaurant. 6. its waterproof design, this apron is great for servers, bussers, and dishwashers. 7. This ensures your aprons remain compactly stored and untouched prior to use. 8. Extra Long Ties This full-sized apron has extra long ties to accommodate every individual's comfort preferences. 9. Disposable Design Unlike thick fabric aprons, this apron is disposable for quick cleanup, minimizing machine washing expenses. We are a well-known firm engaged in offering the best quality of Respiratory Safety Mask to our clients. 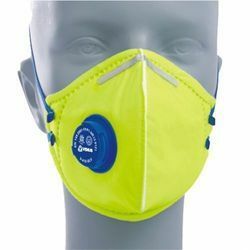 These respiratory masks are manufactured in compliance with industrial quality standards as per the client’s required. These masks are available to clients in a vast range of specifications. These masks are used for the purpose of breathing in case where the supply of oxygen is low. These masks are priced reasonably to suit the client’s budget.